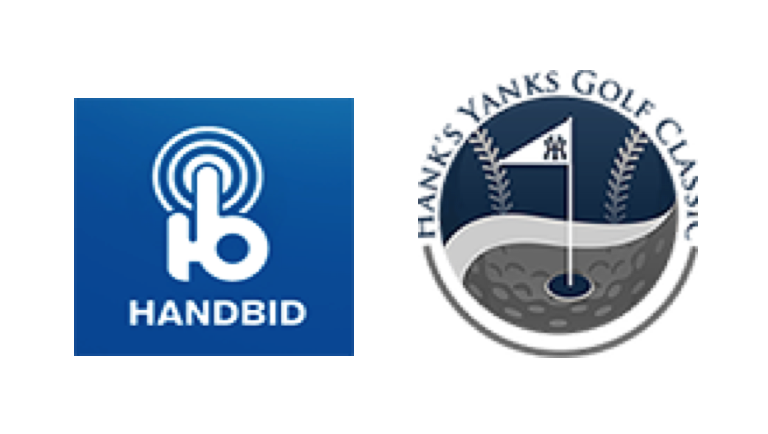 Bronx, NY – June 2, 2017 - HandBid, the premier silent auction mobile bidding and fundraising technology company for non-profits, has partnered up with Hank’s Yanks Baseball Foundation to maximize fundraising revenue at the Third Annual Hank’s Yanks Celebrity Golf Classic, Monday, June 5, 2017 at the famed Trump Golf Links at Ferry Point, NY. “HandBid’s native digital mobile app provides auction bidders greater engagement with less effort and superior results,” said Jeff Porter, Founder/ HandBid CEO. “We are excited to be partnering with Hank’s Yanks Baseball Foundation will be utilizing our platform connecting with participating bidders on-site at Hank’s Yanks Golf Classic and with those nationwide who want to contribute to this great cause.” Scheduled to appear at the Hank’s Yanks Celebrity Golf Classic is: Reggie Jackson, Bucky Dent, John Starks, Hank Steinbrenner, Mickey Rivers and Roy White, to name just a few. The proceeds from Hank’s Yanks Golf Classic fundraising efforts will benefit the Hank’s Yanks Baseball Foundation. “We are excited to team up with HandBid again this year to provide our Hank’s Yanks Celebrity Golf Classic participants and New York Yankees fans throughout the country the opportunity to bid, via their smartphone, iPad and website, on some great signed memorabilia items and experiences that has been graciously donated to our Foundation,” said Mike “Red” Walsh, Hanks Yank’s Celebrity Golf Classic Executive Director. For more information concerning Hank’s Yanks Celebrity Golf Classic and the charitable golf event auction powered by Handbid, visit www.HanksYanksGolf.com. For more information concerning HANDBID, visit www.HandBid.com. ABOUT HANDBID: HandBid’s mission is to provide non-profit organizations a native mobile silent auction app solution to better engage with their bidders, via smartphones, iPads and websites, with less effort, superior results and the platform manages every aspect of the auction. In addition, auction managers rave about how easy it is to manage their silent auctions while increasing revenue opportunities utilizing cutting-edge technology, revolutionizing the mobile auction category. Auction managers can also fine tune the way they can showcase auction items, send text messages to invite potential bidders, issue push alerts when bidding is coming to a close and even track real-time performance throughout. ABOUT HANK’S YANKS BASEBALL FOUNDATION: Hank’s Yanks gives kids from all walks of life the chance to play baseball. Funds raised from the tournament will support the baseball activities of the teams as well as the community outreach work of the athletes. Not only do the Hank’s Yanks players play a high level of travel baseball, they also perform both individual and community service throughout the year. Hank’s Yanks was formed back in 2010 by Hank Steinbrenner with the intention of bringing in kids from tough areas and keeping them on the right track in life by playing America’s pastime. ABOUT HANK’S YANKS BASEBALL FOUNDATION: Hank’s Yanks gives kids from all walks of life the chance to play baseball. Funds raised from the tournament will support the baseball activities of the teams as well as the community outreach work of the athletes. Not only do the Hank’s Yanks players play a high level of travel baseball, they also perform both individual and community service throughout the year. Hank’s Yanks was formed back in 2010 by Hank Steinbrenner with the intention of bringing in kids from tough areas and keeping them on the right track in life by playing America’s pastime.